Tango is a handsome young male who was found living on the street, scared and unsure where to go. Luckily, he made his way to the backyard feeding station of a kind and dedicated RCR volunteer who goes out of her way to help cats in need. Once Tango realized he had a safe spot with food, shelter and kindness, he came out of his shell. His caregiver gave him lots of love and helped him learn to trust people, and eventually he was placed in foster care then adopted, although he was recently returned to RCR due to circumstances and through no fault of his own. Tango is a loving boy who is ready to show his gratitude to a forever home. He hasn't hung out with many dogs or gotten too close with other cats in previous opportunities, but with time and patience he can co-exist with other pets. He mostly loves soaking up attention and affection from his foster parents. Tango is a big guy with a big heart and if you are looking for someone to chill on the couch with or share some time bird watching out the window, then look no further… Tango is the cat for you. He is hoping to find his soulmate soon! 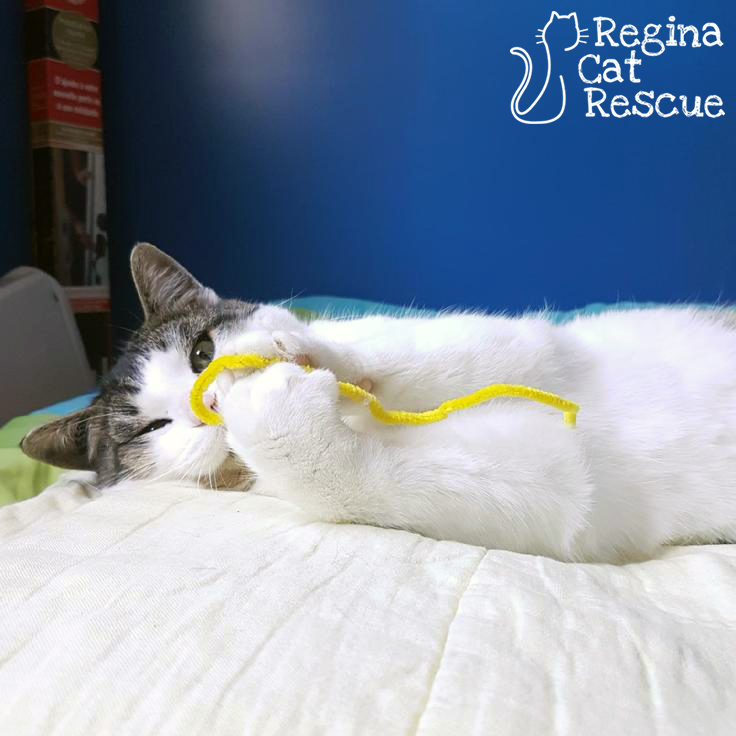 If you are interested in Tango, click here to view our adoption contract and click here to complete an adoption application or email the RCR Adoption Coordinator at rcradoptions@gmail.com for more info.